Area: 1,030,070 sq. km. (419,212 sq. mi. ); slightly larger than Texas and New Mexico combined. 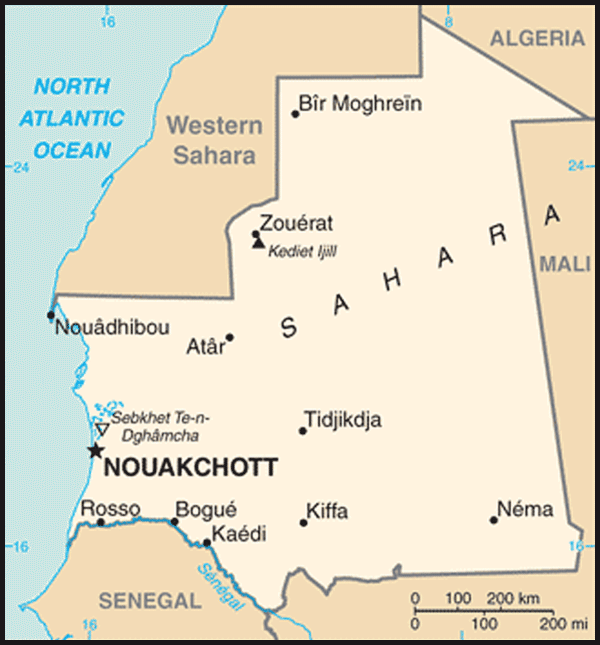 Cities (2004): Capital: Nouakchott (pop. 1,000,000). Other cities — Nouadhibou (110,000), Rosso (30,000), Kaedi (87,000), Zouerate (34,000), Kiffa (77,000), Atar (25,000), Nema (23,000). Terrain: Northern 80% barren desert; southern 20% mainly Sahelian with small-scale irrigated and rain-fed agriculture in the Senegal River basin. Climate: Predominantly hot and dry; humid, rainy season August-October. Nationality: Noun and adjective: Mauritanian(s). Ethnic groups: Arab-Berber (White Moor), Arab-Berber-Black African (Black Moor), Pulaar, Soninke, Wolof. Languages: Arabic (official), Hassaniya (Arabic dialect), French, Pulaar, Soninke, and Wolof. Education: Years compulsory: 6. Attendance (primary education net enrollment rate) — 76%. Adult literacy (percentage of population age 15 years or older) — 51%. Constitution: Approved 1991. Original constitution promulgated 1961. Branches: Executive: president (head of state). Legislative — bicameral parliament, directly elected lower house National Assembly (95 members), and upper house Senate (56 members) chosen indirectly by municipal councilors. Judicial — a supreme court and lower courts are nominally independent but subject to control of the executive branch; judicial decisions are rendered mainly on the basis of Shari'a (Islamic law) for social/family matters and a Western-style legal code, applied in commercial and some criminal cases. National day: November 28, Independence Day. GDP (at official exchange rate, 2010 est. ): U.S. $3.799 billion. Real growth rate (2010 est. ): 4.7%. Per capita GDP (2010 est. ): $2,100. Natural resources: Fish, iron ore, gypsum, copper, petroleum, gum arabic, phosphates, salt, and gold. Agriculture (12% of GDP, 2010 est. ): Products — livestock, traditional fisheries, millet, maize, wheat, dates, rice. Industry (49% of GDP, 2010 est. ): Types — mining, commercial fishing. Services: 39% of GDP, 2010 estimate. Trade: Exports (2009 est. ): 1.37 billion: iron ore, fish and fish products, gold, copper, petroleum. Export partners (2009 est.) — China 44%, Italy 10%, Japan 8%, Cote d'Ivoire 6%, Spain 6%, Netherlands 4%. Imports (2009 est.) — $1.45 billion: machinery and equipment, petroleum products, capital goods, foodstuffs, consumer goods. Import partners (2009 est.) 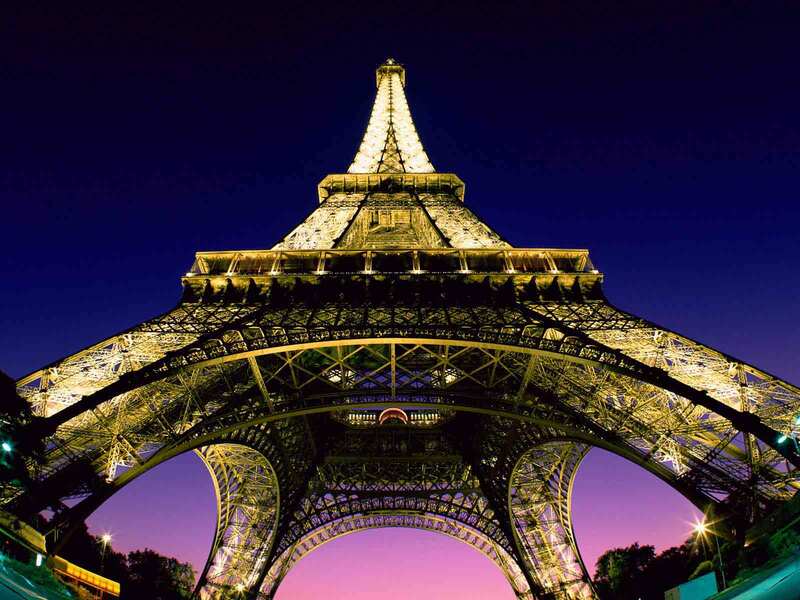 — France 14%, China 13%, Netherlands 10%, Belgium 5%, Brazil 5%. At the crossroads of the Arab North and sub-Saharan Africa, Mauritania is a vast but sparsely populated country of some 3 million inhabitants whose capital Nouakchott (population: approximately 1 million) is on the Atlantic coast of Africa. Ancient cities in the interior were important Saharan trade centers from the Ghana Empire through the expansion of Arab civilization and into modern times. The largest of these, Chinguetti, is the seventh-holiest site in Islam. European colonization came relatively late to Mauritania, which at its independence from France in 1960 was still administered from St. Louis, Senegal. Today's capital, Nouakchott, was a small outpost midway between that city and Port Etienne, now called Nouadhibou, Mauritania's commercial capital. At independence, much of the country's population followed a nomadic lifestyle or worked in agriculture in remote areas mostly untouched by colonial administration. Traditional slavery was formally abolished in 1980. As a result of centuries of this practice, Mauritanian society is characterized by former slave-owning groups of Arab-Berber origin, known as White Moors, and the Black Moor descendants of their liberated slaves who generally lived in the northern and eastern regions. Black African communities, also marked by slavery, traditionally resided in the southern part of the country near the Senegal River. Ethnic tensions persist in Mauritania. In April 1989 violence broke out between communities, stemming from a schism between Arab-Berber and Black African communities. Over the next 2 years the "1989 events" resulted in Mauritania's deportation of Black African citizens to Senegal and Mali, state-sponsored killings, and the purge of tens of thousands of Black Africans from the military and government and their expulsion. In 2010, the UN High Commissioner for Refugees concluded its program of repatriating Mauritanian citizens from Senegal, a significant milestone in Mauritania's efforts to resolve this decades-long refugee problem, also known as the passif humanitaire. Mauritania is a presidential republic. The government bureaucracy is composed of ministries, special agencies, and parastatal companies. The Ministry of Interior controls a system of regional governors and prefects modeled on the French system of local administration. Under this system, Mauritania is divided into 13 regions (wilaya), including the capital district, Nouakchott. Control is tightly concentrated in the executive branch of the central government, but a series of national and municipal elections since 1992 have produced some decentralization, and efforts to decentralize the government continue. Mauritania's bicameral legislature is composed of the lower house (National Assembly) directly elected to a 5-year term through universal suffrage, and the upper house (Senate) whose members are elected to 6-year terms by municipal councilors. The last elections for the National Assembly and Senate were held in 2006 and 2009, respectively. Mauritania's first President, Moctar Ould Daddah, served from independence through 1978. A series of coups brought Maaouya Ould Sidi Ahmed Taya to power, where he remained until removed from office in a 2005 bloodless coup d'etat. Elections in 2007 gave Mauritania a civilian head of state, Sidi Mohamed Ould Cheikh Abdallahi, briefly making the country an international model of a peaceful transition to democracy. In August 2008, General Mohamed Ould Abdel Aziz led another bloodless coup d'etat; he had opposed an Islamist-inspired coup against Taya in 2003, but supported the 2005 removal. International mediation resulted in the Dakar Accord of June 2009, and elections recognized by the international community were held in July of that year. President Aziz, running as a civilian candidate, won with 53% in the first round against a divided opposition. Municipal and parliamentary elections, previously scheduled for September and October 2011 have been postponed, and President Aziz's 5-year term will expire in 2014. In May 2011, President Aziz publicly launched a new system to conduct a census, automate national identity documents, and finalize the voter list. Civil society has raised concerns that its technical implementation will lead to disenfranchisement of Black Moors and Black African citizens. Although no recent census exists, it is estimated that 30% of the population are White Moors. Another 40% of mixed Arab-Berber-Black African descent are Black Moors. The remaining 30% are Black Africans of the Soninke, Pulaar, and Wolof tribes. Almost all Mauritanian citizens are Muslim. Al Qaeda in the Islamic Maghreb (AQIM) traditionally has operated in Algeria and northern Mali and has recruited and trained extremists from Tunisia, Morocco, Nigeria, Mauritania, Libya, and other countries. Mauritania has taken an aggressive stance against terrorism, which remains a threat in the country. For several years, AQIM has carried out attacks against official targets and Westerners in Mauritania. In the late 2000s, European tourists were kidnapped and murdered by AQIM operatives. In 2011, Mauritanian courts convicted three individuals for the murder of an American citizen 2 years earlier. Mauritania remains among the world's poorest countries, ranked 136th of 169 countries in the United Nations Human Development Index in 2010. In 2010, the Mauritanian economy grew by an estimated 4.7%, compared to a contraction of 1.2% in 2009, and GDP was an estimated $3.799 billion. Donors have pledged future support, with approximately 70% from non-Western sources, especially Arab states. Some 88% of the 2011 budget of 269 billion ouguiya (or $928 million) is to come from internally-generated revenue, which is up considerably thanks to more careful stewardship, and the remainder from donors. About 17% of the budget is devoted to national security; another 17% is slated for education, followed by transportation at 4%. In a country that imports some 70% of its food, rising world prices for staple commodities could cause great hardship, especially for the urban poor. In rural areas, the harvest was quite good in 2011, but management of food stocks is frequently inadequate. Malnutrition is on the rise in some rural areas, including in the area affected by an outbreak of Rift Valley Fever in late 2010. Drought, disease, and locusts could destroy much of 2011's crops and livestock. Demographically, Mauritania is young, with 70% of the population under the age of 29. Unemployment runs at 32%. The government has made recent efforts to support training in technical fields with a focus on youth. President Aziz campaigned as the "President of the Poor," vowing to stop the rampant corruption and serious abuses that characterized the past 30 years of Mauritania's history. Key infrastructure projects such as the Aftout es-Saheli pipeline to bring water from the Senegal River to Nouakchott, which came on line in October 2010, have accelerated under his leadership, as have efforts to interest international investors in iron and gold mining as well as petroleum and, to a lesser extent, wind and solar power. Mauritania is the chair of the African Union's (AU) Peace and Security Council through March 2012, and President Aziz's leadership of AU High-Level Panels on Cote d'Ivoire and Libya has lifted the country's international profile. Mauritania holds a seat on the UN Human Rights Council and is a candidate for the UN Security Council's 2012-2013 term. Mauritania is a member of the Arab League but not of ECOWAS, the Economic Community of West African States. 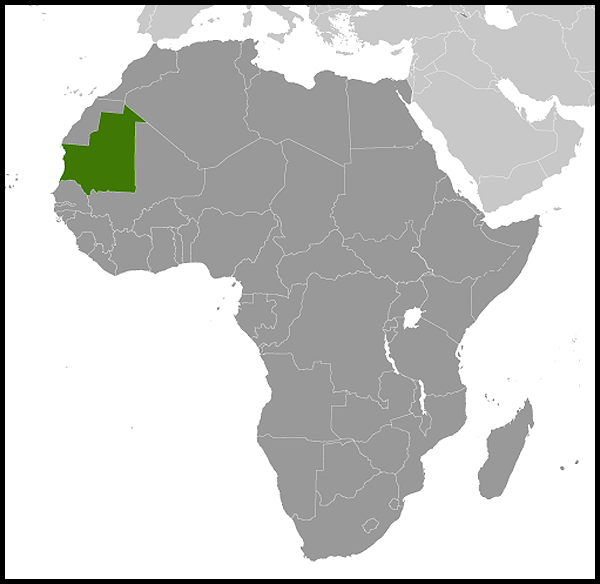 The U.S. was the first country to recognize Mauritania's independence in 1960, followed by France. Mauritania broke diplomatic and consular relations with the U.S. during the 1967 Middle East war but restored them 2 years later. Since then, U.S. aid and cooperation with Mauritania have varied in response to political conditions. The United States condemned the 2005 coup and the unconstitutional assumption of power by the Military Council for Justice and Democracy, and called for a return to a constitutional government through free and fair elections as soon as possible. The U.S. Government supported Mauritania's transition to democracy, providing election-related assistance for voter education, and mobilizing considerable amounts of development assistance in the run-up to the 2007 elections. The United States strongly condemned the 2008 military coup and applied sanctions while working with the international community under the framework of the Dakar Accord peace process. Mauritanian leaders reached an agreement on June 4, 2009, paving the way for a return to constitutionality. The international community accepted President Aziz's victory in the July 18, 2009 election as reflecting the general will of the Mauritanian people. Following the certification of this election by foreign observers, the World Bank and International Monetary Fund (IMF) re-launched their development programs in Mauritania, which had been suspended following the coup. Bilateral U.S. sanctions were lifted in October 2009. The United States now engages with Mauritania on a wide array of issues, including counterterrorism, food security, trade promotion, and efforts to strengthen human rights and the rule of law. The Departments of State and Defense, as well as the U.S. Agency for International Development (USAID), are currently represented at the U.S. Embassy in Nouakchott. The address of the U.S. Embassy (http://mauritania.usembassy.gov/) in Mauritania is Rue Abdallaye, BP 222, Nouakchott, Islamic Republic of Mauritania. Tel. (222) 525-2660/525-2663; fax (222) 525-1592.